Cloud 9's summer camps are designed to learn fine arts, crafts, yoga and to have fun! Our camps are created so that children and teens can learn, create, and have fun in a relaxed, professional studio environment. Our instructors teach techniques for fine arts, crafts, and mindful living, while supporting students of all ages. The instructors are established professionals who are passionate about their own work as artists and bring that enthusiasm to their classes at Cloud 9 Art School. For a downloadable catalog of our summer camps, click here. If you would like to receive occasional emails about our new list of art classes, camps and workshops for kids, teens and adults, subscribe by clicking here. We promise we won't flood your inbox with boring promotions. Students will learn basic drawing skills focusing on representing textures and depth, as well as learn how to create watercolors of various types of animals. A live animal or two will join us during the week for sketching! All supplies provided. This workshops is perfect for kids ages 10-15 who love to make things from scratch. In this two hour workshop we will make and label our own bath and beauty summer survival products. We will look into the different benefits of essential oils before deciding how to scent our own personal products. Each participant will make 4 lip balms, a sugar scrub, a bottle of all natural hand sanitizer, a citronella candle and a bottle of bug spray. Come explore the beauty of watercolor. Lynnea will provide projects with step by step mentoring you through the processes to create a finished piece of art. Lynnea will help build your confidence and knowledge in this class. Come, learn the secrets and have fun with this beautiful medium. Beginner and intermediates welcomed. Putting it all together. We will created our own art using the skills we learned in the beginning watercolor class and build on those skills. The class will explore the true beauty of watercolor, how we can take our own ideas with our new skills, creating and bring our projects to life. 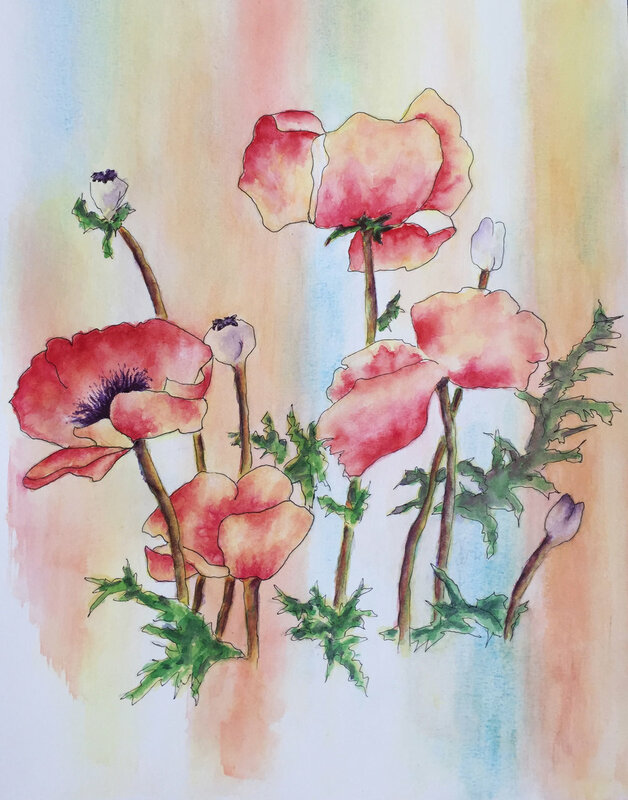 Intermediate instruction will build on the basic understanding of watercolor, present new projects, and evaluate the student’s knowledge to help with areas for improvement. The instructor will help and advise on projects provided by the students as well as instructor provided projects. In this camp, students will play and experiment with several different types of printmaking. From day one students will be getting their hands inky and become completely emerged in a new and exciting art form. Students will use their own ideas and imagination to create images that can be reproduced over and over again and the skills they will learn can be used to continue making prints at home. This camp is the perfect introduction to printmaking for any young artist looking to further their abilities while getting messy, having fun and taking chances. This camp is ideal for young artists who like getting a little messy while learning new artistic techniques. Students will play and experiment with several different types of printmaking while using their own ideas and imagination to create images that can be reproduced over and over again. Participate as often as your schedule allows. Join me for these open studio all day sessions and bring your painting projects, drawings, sketches, journaling, any creative endeavor your are pursuing! I will provide guidance, demos and critiques. Bring your lunch or walk to one of the many nearby restaurants to pick something up. Spend the entire day being creative with others! A place to explore, paint, learn! This camp is meant for young artists who enjoy exploring new art mediums. If you can’t decide which art camp to take THIS ONE'S FOR YOU! You will spend one day dedicated to each of the following mediums: acrylics, watercolor, paper collage, printmaking, and pastels. We will start each day with a hands on introduction to the medium and some techniques to try. Students will choose their own subjects for their daily projects. This workshop is designed for students ages 9-13. Over this week long course students will learn about drawing dynamic characters, creating a story, creating comics from life and more. Students will take their skills to the next level as they learn the process of creating a complex and engaging comic. Supplies are provided with the workshop fee. 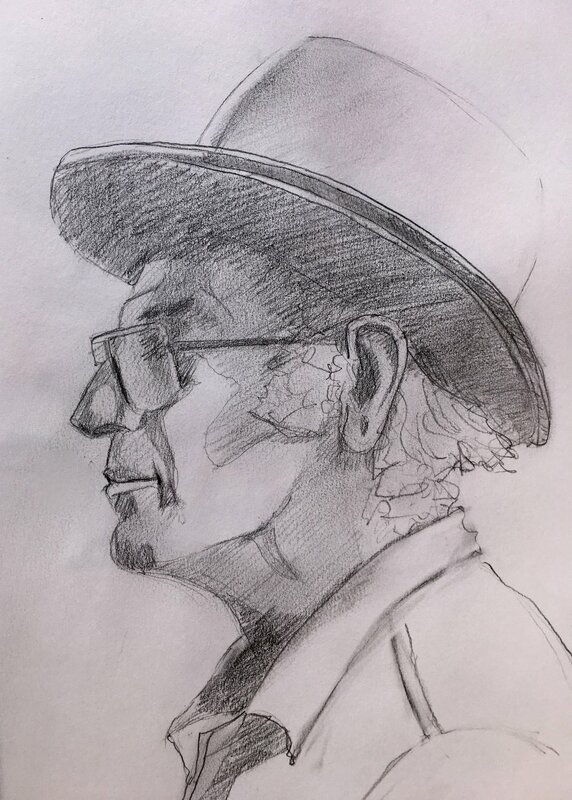 Designed to artists understand how to see like an artist, discover the value of light and shadow and how to draw the human face. We will work in sketchbooks, learning exercises to improve our ability to see and draw with creative exercises. Emphasis will be placed on developing a basic understanding of visual anatomy. Subjects will include proportion and construction of the head, drawing facial features and mapping lights and darks. Each of the lessons will introduce new ideas and exercises, and challenge you to think about this tricky subject in new ways. You will get a creative workout, but in a relaxed, supportive setting. Drawing is the foundation of the visual arts and anyone can learn to draw! This class will build a solid foundation of drawing skills to strengthen your ability to express your creativity! Based on the Betty Edwards book, Drawing on the Right Side of the Brain, students will be guided through the process of developing drawing skills to render realistically using line and contour, shape and form, light and shadow, space and depth, proportion and perspective. Principles of composition will also be covered. Please join me for this three week class in July or the four week class in August (or both!). These classes are designed for those wanting to learn some of the fundamental techniques involved in colored pencil art. Topics covered will include use of pressure, types of strokes, color layering, blending and under-painting techniques. I will provide exercises and pictured references at will allow you to learn and apply the technique to images you want create. Sign up for one or both. You can also bring your own references for projects you are interested in working on with my guidance. A supply list will be provided upon registration to help students combine these techniques into a finished picture. Each week Tara will present a different concept with accompanying projects. Students can sign up week to week for however many sessions their schedules allow and end the summer with a number of projects for their portfolio. Students can also email Tara their final projects or WIPs along the way for feedback. Tara also offers a mentoring session 30 minutes after the portfolio session ends. Students of the portfolio class can attend the mentoring sessions and work with Tara on their projects for more working time and input. Appropriate for all levels except for complete beginners. Bring the art projects you are working on and receive personal guidance, critique, and instruction to help you move forward. As time allows, Tara will also provide demonstrations of various media (from watercolor, colored pencil, mixed media, collage, graphite, even a touch of digital), or discussions of art and design principles. This is a great opportunity to finish up projects, push your work to a higher level, or prep your portfolio for college admissions. A consistent art practice is one of the most effective ways to up your skill and enjoyment levels! You can register for classes from month to month. Join at any time, and stop and start as your schedule allows. Are you interested in the art of drawing for children's books? In this course, you will learn the basic techniques to complete illustrations for young readers. You'll also learn the business side of children's book illustration, including what it takes to get your work seen by the right people, as well as lessons about successful illustrators from the past. Craig Orback is an award-winning illustrator of over 15 children's books. Prerequisite: Basic drawing skills. Out-of-class drawing assignments required. Supply list will be provided upon registration. In this camp, students will play and experiment with the luscious world of watercolors! This camp is meant for everyone, from the novice watercolorist to the advanced artist. We will explore watercolor techniques including salty watercolors, watercolor resist methods, painting wet into wet, and printing. We will use different watercolor artists as inspiration for our daily projects. This workshop is designed for students ages 14-18. Over this week long course students will learn about drawing dynamic characters, plot structure, storyboarding, world building and more. Students will have to opportunity to create a comic from start to finish using the same process as industry professionals. Teen artists can come learn alongside other creative teens in a supportive learning environment. 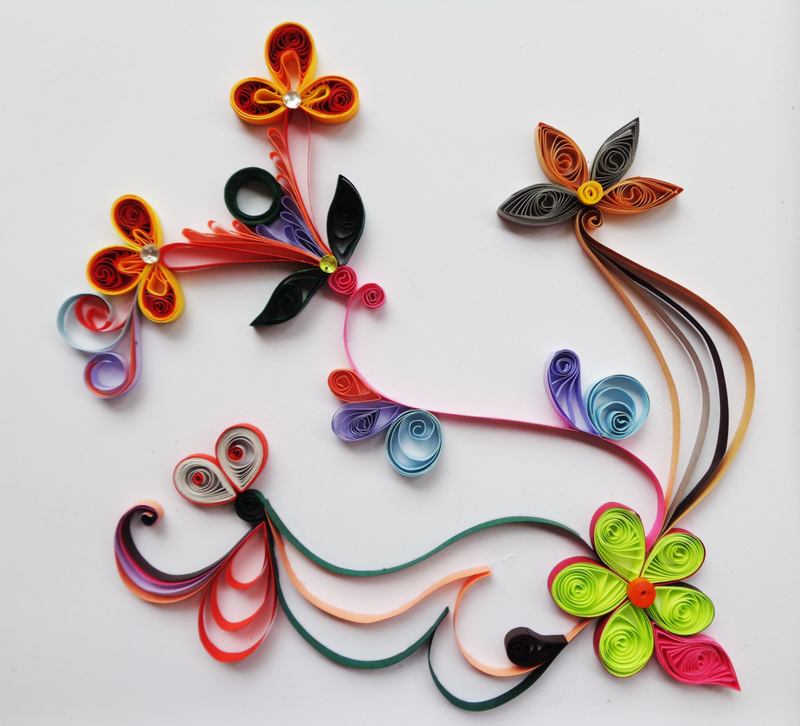 Students will explore and play with polymer clay (Sculpey) with a focus on learning how to manipulate it, create 2D and 3D objects, and paint their creations. This workshop is designed for beginner and advanced students alike who want to learn more about painting with acrylics. Students will be introduced to color theory, composition and brush techniques that will help them execute projects of their own design. Over the week students will create paintings and learn skills along side other creative kids. 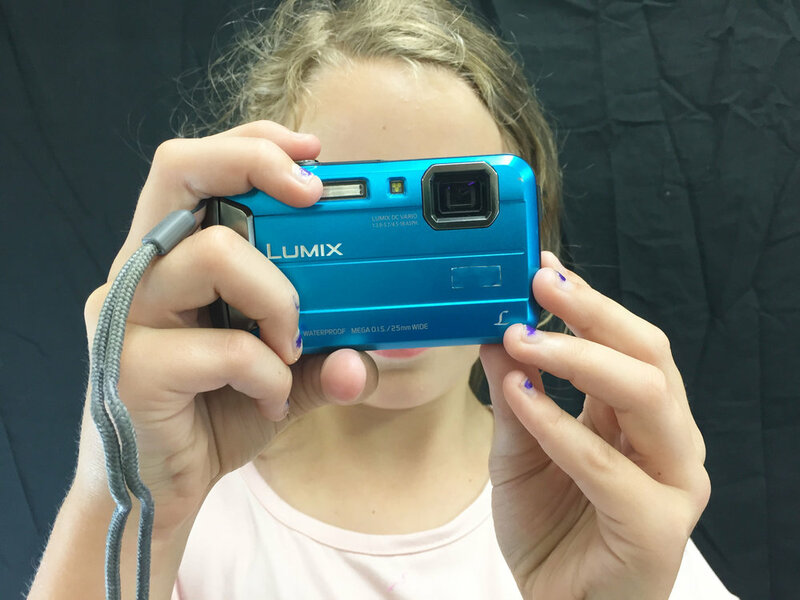 This camp is meant for the budding photographer. Students will learn how to use the elements of photography to take good still lives, portraits, black and white, macro and art photography. We will leave the studio most days to walk around and look for good shots close to the school. A camera and laptop or ipad is required for this camp. In this camp students will be exposed to pinning, basic hand sewing stitches, and embroidery while making some fun projects. We will make covers for sunglesses, a fox purse, 3D decorative cactus plushie, and MORE. These basic hand sewing skills will inspire and prepare young crafters to create their own projects with only a few simple supplies: needle, thread and fabric scraps. Please join me for the three week class in July or for this four week class in August (or both!). These classes are designed for those wanting to learn some of the fundamental techniques involved in colored pencil art. Adults and teenagers 15+ are welcome. In this camp, students will explore many different paper crafts including origami, paper sculpture, making paper, collage and more! They will be introduced to art projects they can easily replicate at home with very few supplies. This camp is perfect for young artists who love working with their hands. In this camp, students will explore many different paper crafts including origami, paper mache, quilling, making paper, collage and more! They will be introduced to art projects they can easily replicate at home with very few supplies. This camp is perfect for artists who love working with their hands. Young students will be introduced to basic concepts practical in sketching nature: colors and shapes in nature, pencil, pen, and watercolor skills, and how to observe nature. Class may go for walks outside, weather permitting. All supplies provided. Students will follow step by step instructions for drawing subjects they may encounter outside. They will practice with pencil, pen, and watercolor. Walks may be taken outside, weather permitting. All supplies provided.